Education is important but well-being is equally crucial to ensure students’ holistic development. 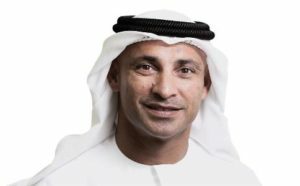 The Knowledge and Human Development Authority (KHDA) has identified several approaches to add a sense of happiness to the academic experience of children, says Dr Abdulla Al Karam, Chairman of the Board of Directors and Director General, KHDA, in an interview with Rashi Aditi Ghosh of Elets News Network (ENN). 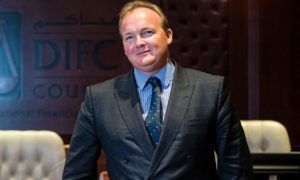 The education system in Dubai has a unique model that relies on the concept of “Happiness”, how does it help you push educational achievement to the next level? We believe the purpose of education goes beyond academic achievement. Traditionally, the story goes that if we go to school and study hard to get good grades to get into university, we’ll be happy. Then, if we go to university and study hard to get good grades and get a good job, we’ll be happy. Later, it becomes that if we work hard to get a better job to get married and buy a nice house, we’ll be happy. The goalposts of happiness never stay still. So, rather than spending our lives chasing happiness, wouldn’t it be better to just be happy? That way, when we get good grades to get into university, or get a good job, we’ll be even happier. And if we don’t, it’s ok. We’ll still be happy and we can try something else. Scientists have identified a number of approaches that add to our sense of happiness and wellbeing. These include giving, connecting with others, life-long learning, taking notice of the world around us, and being active, to name a few. When education focuses on developing these skills and attributes in students, it gives them a gift that will benefit them and others around them for the rest of their lives. The KHDA in partnership with the Department of Education and Child Development (DECD) of South Australia is conducting Student Wellbeing Census. Kindly apprise us about this project and its progress so far. We believe that well-being holds as much importance as academics in fulfilling the purpose of education. The Dubai Student Wellbeing Census is the first of its kind being conducted here in Dubai. It’s a five-year project that will measure the well-being of 75,000 students from Grade 6 to 9 annually. Data from the Census will provide schools with an in-depth understanding of how students feel about their school life, homely life, themselves and their relationships with others. The results will also provide insight into student attitudes towards their experiences in and out of school. This will then enable school leaders to better design their schools’ well-being culture, and allow us as policymakers to make evidence-based changes that have positive long-term impact on the education community. This year’s Census will be completed at the end of December, with Dubai-wide results will be released in February 2018. Job market across the world is changing at a rapid pace, in sync with technology. What measures are you ensuring to meet up the challenges in this regard? We don’t know what the world will look like in future, but we do know one thing: the rate of change in the world will never be as slow as it is today. Artificial Intelligence and automation will transform industries, and will most likely transform our understanding and expectation of work and education. In this world of the future, the role of education will be to give our children a strong sense of the values that will enable them to live in harmony with themselves, with each other and with nature. What we traditionally call ‘soft skills’ today – empathy, creativity, service, collaboration – will very soon become ‘survival skills.’ By focusing on positive education and well-being now, we are helping to ensure that students, who are in school today, will have the skills to help them thrive in the future. Your institution has been introducing various positive initiatives like organic farming in schools. Tell us about the motive behind these programmes. Happiness and wellbeing take on many forms, and one of these is closeness to nature. The flower and vegetable gardens at Dubai schools are actually more like outdoor classrooms: growing vegetables actually requires good knowledge and application of maths and science. Selling vegetables demands sound business practices, and using the profits for charitable purposes encourages giving. School gardens give students real-life application to what they’re learning in the classroom. Gardens also bring us closer to nature, and this is essential for our well-being. Last year, we partnered with Ground-Up Initiative from Singapore and local organisation Ecoventures to open the Hatta Wellbeing Campus. A trip to this campus gives students (and teachers!) the chance to leave the indoor classroom and spend time in an outdoor classroom. It includes a lot of engaging, hands-on activities that bring the students closer to each other, to nature, and to the local culture. KHDA was associated with World Education Summit, Dubai (2016) as Knowledge Partner, how was your experience being part of this global knowledge sharing platform on education? It’s always beneficial to meet people who share our passion and commitment to high-quality education. Our experience with the World Education Summit in 2016 was very useful in that we were able to meet committed educators who were willing to ask ‘what’s next?’ and help take Dubai’s private schools sector into the future. How KHDA is helping Dubai become into a world education hub? Dubai has a unique private education sector. Currently, 194 private schools provide education to nearly 280,000 students from 185 different nationalities. That’s a very diverse sector. If you add to that our higher education sector – which includes 28 international branch campuses of universities from 10 different countries – you can see that in many ways, Dubai is an education hub of the world because the world is in Dubai. We are always interested in learning about how other countries approach education, and we are always happy to share what we’ve learned with others. We work very closely with our education community to improve the quality of teaching and learning in Dubai, and one of the ways we do this is through our partnerships. Recently, we partnered with the International Positive Education Network to bring more positive education practices to Dubai’s classrooms. Positive education focuses on students’ well-being and character strengths as well as their academic achievement. We believe this combination will have significant beneficial impact on the quality of Dubai’s education sector.